The splitter allows you to connect 2 headphones to 1 device. 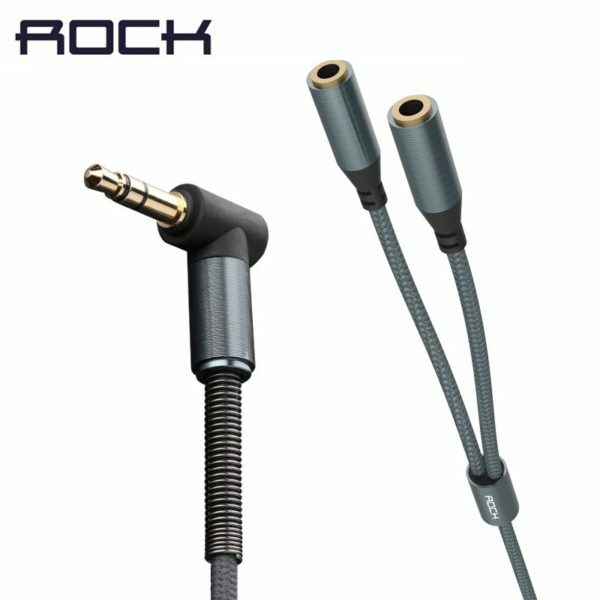 3.5mm audio splitter Y cable connects most devices with 3.5mm auxiliary port (AUX), like MP3 player, smartphone, tablet, computer etc, to two headphones or speakers, which is a great solution to share cool music, movies and games with your families and friends. Knurling Process:Aluminum alloy housing and exquisite knurling process show aesthetic and stylish look. 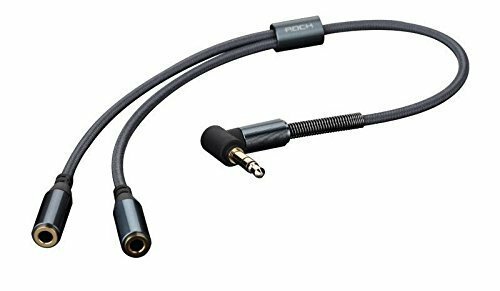 OFC Hi-Fi Cable:High quality material- oxygen-free copper (OFC) HiFi cable- features excellent conductivity, which transmits the qualified sound. 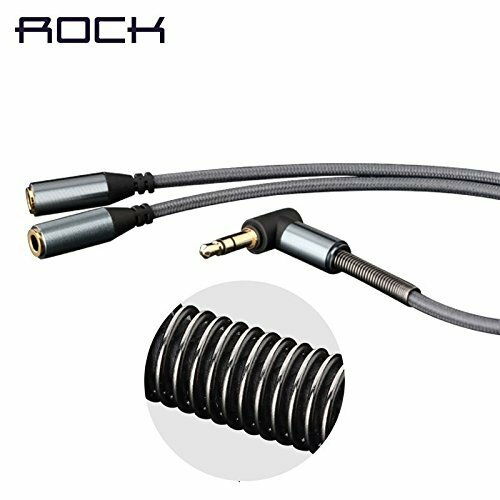 3.5mm L Plug:3.5mm Al-alloy L plug protects your cable and is convenient to store. Metal Spring Coil:Metal spring coil is effected on reducing scuffs.